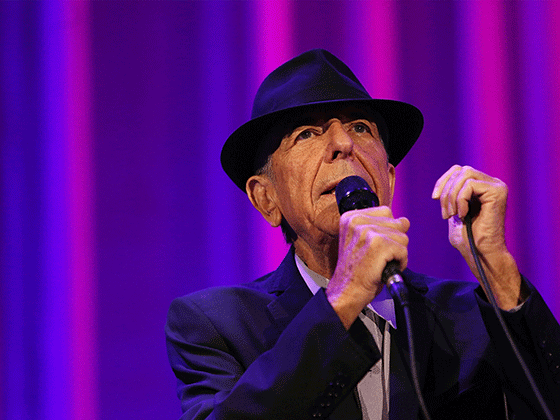 Legendary songwriter Leonard Cohen won his first Grammy posthumously on Sunday for "You Want It Darker," the meditative title song off his final album that presaged his death. Cohen, while a major figure in pop culture and literature, had few hits in the traditional sense and throughout his life was shut out of the Grammys, the premier gala of the US-based music industry. The Canadian poet and singer won for Best Rock Performance for "You Want It Darker" in a field that included another late artist, Chris Cornell. The album "You Want It Darker" came out just three weeks before Cohen died at age 82 in November in Los Angeles. On the title track, the singer -- whose music was full of metaphysical reflections -- appeared to come to terms with his own mortality. "Hineni, hineni," Cohen sang, using the Hebrew for "I am here," before adding, "I'm ready, My Lord." Over a steady bass line, the song builds with chants from the choir of his Shaar Hashomayim synagogue in his native Montreal. While he never won a Grammy on his own, Cohen -- whose best-known songs included "Hallelujah" and "So Long, Marianne" -- earned a lifetime achievement award in 2010. Cohen also appeared on a tribute album to fellow Canadian songwriter Joni Mitchell led by jazz legend Herbie Hancock, which won Album of the Year in 2008. Cohen was also nominated Sunday in the Best American Roots Performance category for another track off his final album, "Steer Your Way," but he did not win.